El marco A en Shady Lane. Recién decorado, impecable y el sol empapado casa de tres dormitorios en una zona tranquila cerca de todo lo que la isla tiene para ofrecer refugio. Totalmente equipada con electrodomésticos nuevos de acero inoxidable, estufa de gas / horno, lavavajillas, microondas, cafetera, tostadora, licuadora. Isla desayuno, el concepto de cocina y comedor abierta, sala de estar hundida con techo, enorme televisión de alta definición, cable / wifi, aire acondicionado central y suelos de madera espumosos en todo. Dormitorio del primer piso con cama de matrimonio está al otro lado del cuarto de baño completo. El segundo nivel se encuentran dos dormitorios uno con cama de matrimonio y otra con dos camas individuales. Sótano completo con lavadora y secadora. Hermosa cubierta para el entretenimiento con un montón de espacio al aire libre. Asar malvaviscos es una necesidad en la fogata íntimo. Cada detalle de este alquiler de vacaciones está aquí para usted! Pie o en bicicleta a la playa, kayak / pesca, Mashomack preservar, la buena mesa, la sociedad histórica, puestos de granja, galerías de arte, antigüedades, de cafetería, cervecería. Ferry a los Hamptons o las bodegas de la horquilla del norte. A group of us stayed here whilst visiting Shelter Island for a friends wedding. The house was exactly what we needed. Very well looked after, clean, and close to the local shops too. Lovely home and stay for the weekend! Accommodations were great. The home is very clean and spacious. 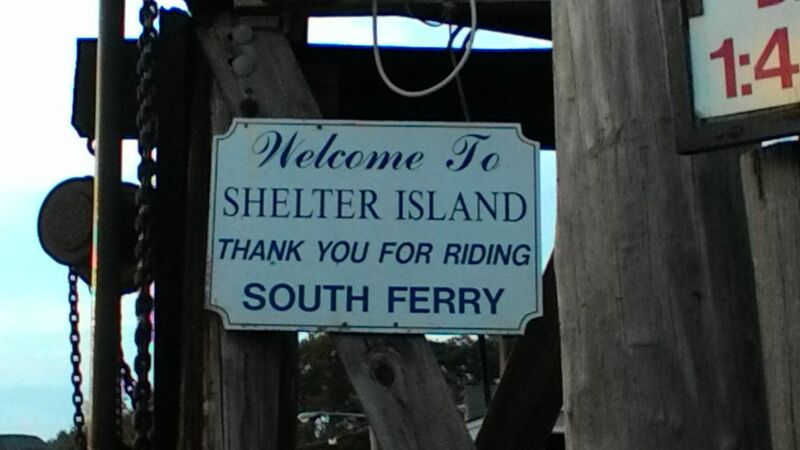 Had a wonderful time at Shelter Island. Barbara was very gracious. Her house is lovely and on a quiet street. We had an incredible time visiting the island for the long weekend. The house was so beautiful, super clean and just perfect for our stay. We got to see baby deer, chipmunks and rabbits in the yard each day as well. Farmer's Market just seconds away on Saturday was a nice perk too. Location is great, everything is close by. Perfect place to get away for a few days to disconnect. Our little fur babe loved it too! Barbara, thank you again for opening your home to us. Great host, great house! We will definitely be back to visit! So glad to hear that your time on SI was so incredible! Home was decorated nicely. Very clean, had all the basics! Location is great! When you go back to a place I think that alone speaks for itself, however, we love this home so much I need to write about it again! When I walked through the door my first thought was "wow, this is even nicer than I remember!" - this home is just lovely; lovely; lovely! You can immediately see that the owners take pride in this vacation home & have put a lot of thought into what their guests needs might be. Many added touches throughout for your stay to be even more enjoyable. The home is extremely clean; the way its decorated is an absolute delight - & there is so much space inside and outside. The location is wonderful for just kicking back or to go exploring. The owners are great to work with. The shop owners in town are a joy to talk to, be sure to visit the Pharmacy for a delicious milk-shake - I again, recommend this home without hesitation to anyone visiting the area - you will not be disappointed. Chrissy & Art. Payment is due in full within 15 days of check in . Check in time is 2:00 P M on day of arrival. A fully refundable security deposit is due with payment, and the $100. cleaning fee with payment. Bank check, cashier's check, money orders are acceptable. No Personal Checks accepted.